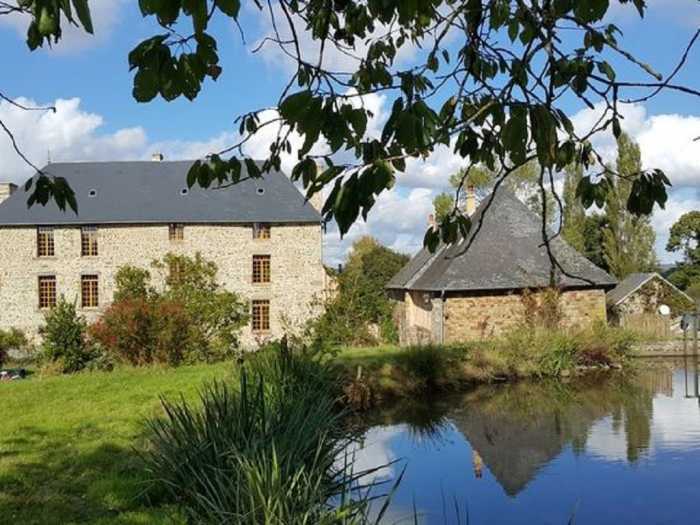 Properties for sale in Normandy, France - AHIN-MF924-DM50 Mortain 50140 In peaceful location magnificent property (Manor + house) on 6 Ha env. Completely restored respecting the ancient features. vast room of bath - shower - WC. Attic. Cellar. adjoining boiler room (central heating with pellets). room of bath-TOILET. Electric heating. Double glazing wood. Double garage. Stables (4 boxes) and storage room. 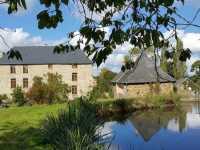 incurred by the buyer Price excluding agency fees: 660000 €.